You lumber down to the water, with fins in your hand and a heavy tank on your back, the sun beating down on you, your wetsuit sticking to your skin. You can see the water now, clear, rippling and inviting. A man sits on the rocks, beads of sweat dripping from his skin, an ice-cream melting in his hand, his back turning slightly pink. You reach the edge, and you step in, feeling the cool spreading from your toes up to your knees, and from your toes to your waist. You find a rock to balance on and carefully put your fins on, then your mask. You swim out a little, the cool all over your body now. Your instructor gives the signal, you put in your regulator and you descend. All the outside noise stops, everything slows down, and you're completely immersed. You're swimming, slowly and gracefully, totally weightless. 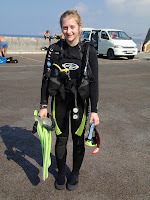 This is what it's like to scuba dive, and its how I spent a large proportion of my holiday this year. Dad and I booked our week-long trip to Malta in spring this year, so when June finally came around I was really excited to begin our diving adventure. Our flight out was an early morning flight which meant waking up at the ungodly hour of 3:15am (it's safe to say we had our fair share of strong coffees that morning!) to get to Luton in plenty of time. 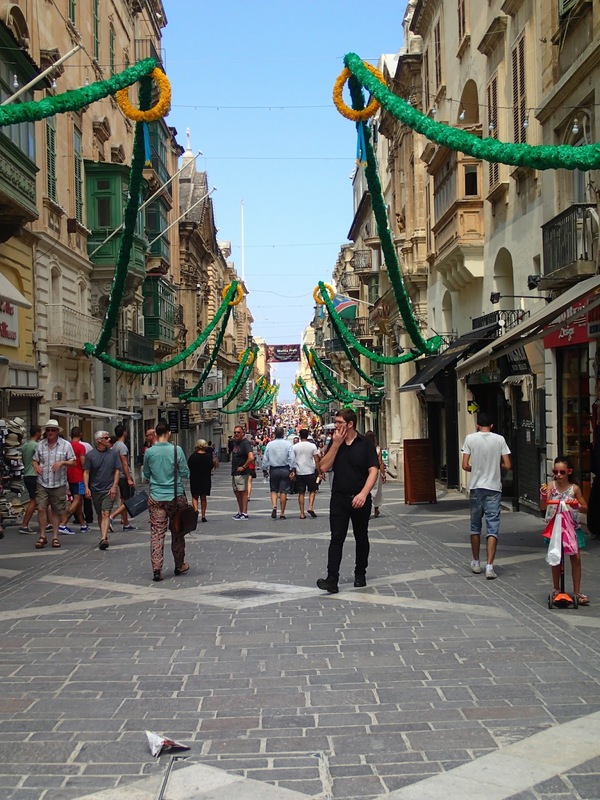 The flight was only around 3 hours long and we arrived at Malta International Airport in Luqa around 11am, where we met our taxi driver and headed to our hotel in Xemxija, which was around a 30 minute drive away. Since our hotel room wouldn't be ready for a few more hours, we caught the bus into Bugibba, and picked up some groceries for the week as our hotel room at the Porto Azzurro was self-catering. After settling into our room later that afternoon we headed back into Bugibba for dinner where we found a lovely little Italian restaurant, and then it was back to the hotel for an early night before things really got started the next day. In the morning, all we knew was that someone from the dive school (Corsair) would pick us up at 8:30. Sure enough, bang on time we were picked up by Pascal, a Belgian who had years of diving experience and who had recently qualified as an instructor and was going to lead our course. After discussing what experience my Dad and I had had of diving we decided to go straight into the course, seeing as we were both confident and comfortable in the water. We stopped by the dive shop, again in Bugibba, to pick up equipment and we were also introduced to Melita, one half of Corsair's ownership. Once we were all set with our gear we were driven down to Sirens, not far from our hotel. 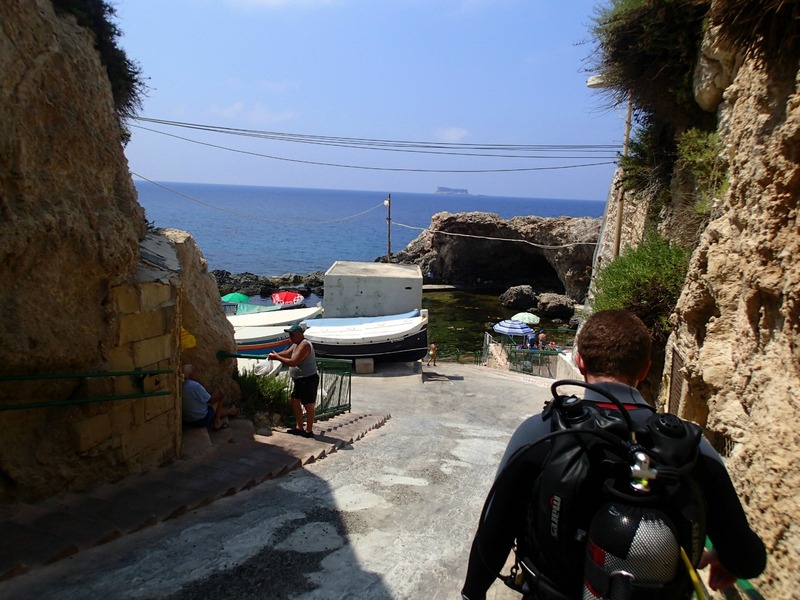 There are some old Roman lidos here, which make a perfect environment for training - no real swell or current, easy access to the shore, and shallow enough water to be considered a 'confined' environment (the first few training dives have to be completed in confined water. Some places will use a swimming pool, but we were lucky enough to be able to use the lidos). We went straight ahead and completed the first 3 of 5 sessions, and after an hour or so of practice we headed out and swam around the reef as a little bonus, spotting schools of neon blue damselfish, wrasses with iridescent skin, tiny jellyfish and a squirting octopus. At around 12:00 we headed back into Bugibba for lunch. After refuelling, it was time for the theory sessions. Here, you learn the technical stuff about diving, but it's nothing too complex or intimidating. 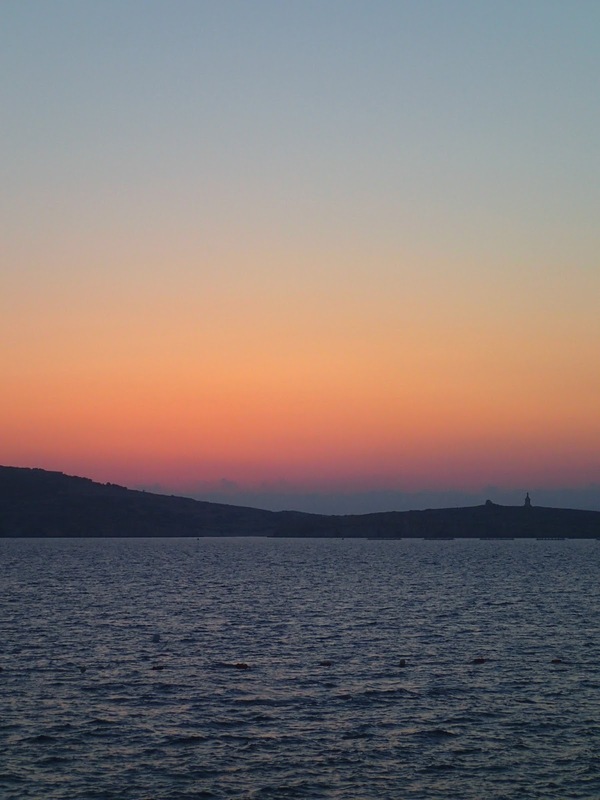 We went into Bugibba for dinner again that night as there are very few restaurants in Xemxija itself, and stumbled across Batubulan, the most beautiful restaurant with delicious food and a stunning view of the beach and the sunset over the mountains. Day three was a Sunday, and like many places in Malta, Corsair like to take the day off, so we seized the opportunity and caught the bus to Mellieha. We made the most of having nothing to do and spent the day lazing around the beach before heading back and having dinner at Benjawan in Bugibba, which served the best Thai food I have ever tasted. On day four we were back to business for our final confined water dives which we completed at Sirens, then we went back to the shop for our last theory sessions. That night we ate at Bognor, an open-air restaurant by the beach in Bugibba which served the tastiest pizzas and most bountiful salads. Day five was when things started to get really exciting. Since our confined water dives were out of the way, it was time to go deeper. 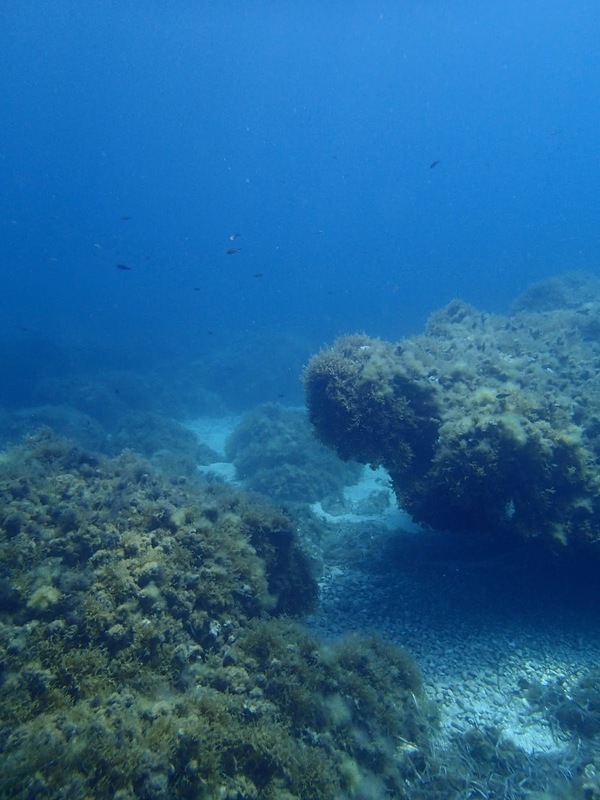 These dives are called 'open water' dives, and the first two were limited to 12 metres (just under 40 ft). This time we headed to Cirkewwa, a popular diving site in the North of the island with a designated divers' car park, portaloos and a snack van (all that swimming can make you very hungry!). As our depth was limited on this day we didn't see all that the site had to offer, but the next day more than made up for it. 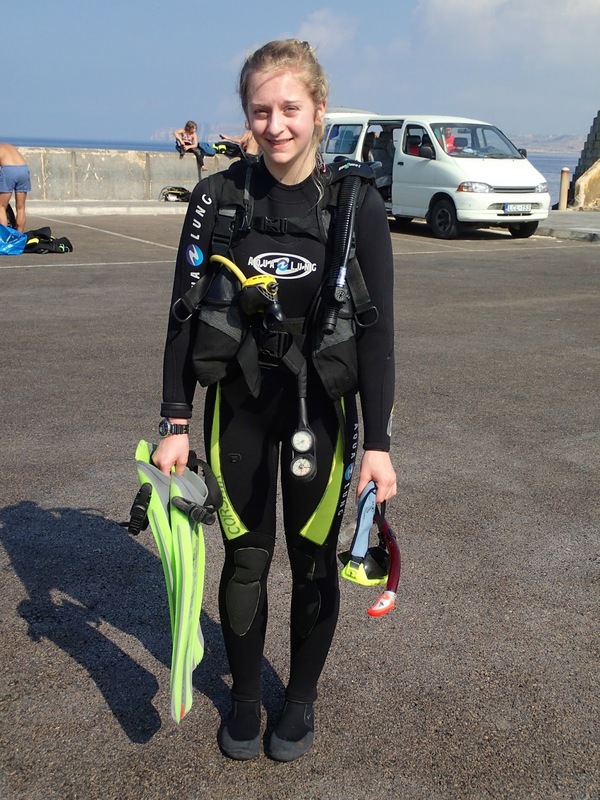 As there were no more classroom sessions to do and we only did two dives, we had finished by midday, so we headed over to Valetta, a very historic city in the East of Malta, home to Malta's war museum and one of the first cities in Europe to be designed with a grid street system. The layout of the streets helped to keep the city cool, and its effects can still be felt today. Valetta is one of Malta's more built up areas, with new architecture and a few Western shops such as HMV and Peacocks. Valetta has played a very important role in defending Malta from various invasions and wars, and many of the buildings from those times still stand. 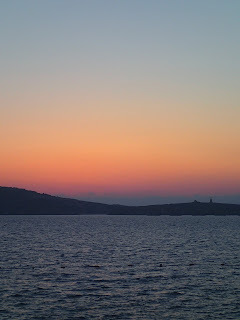 After a few hours in Valetta we headed back into Bugibba for dinner (unfortunately I didn't note down where we ate that night), rounding the day off by reviewing all the theory we had learned over a coffee in preparation for the exam the next day. Day six was the last day of the course, and all that was left to do was two more open water dives and the final exam. We visited Cirkewwa once again as Melita promised it was an even better location when you go a bit deeper. The last dives were at 18 metres (30 ft, about the same as an average three story house), and although the dives the day before had been fantastic, those 6 extra metres meant we could see so much more. 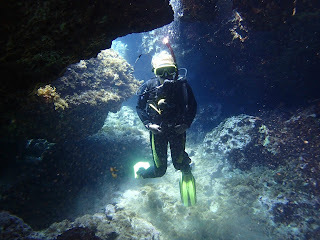 We entered the water through Susie’s Pool and then ventured out over the reef before swimming out over the drop off, where we saw the Madonna, a small statue that was placed in a cave by a local dive club more than 25 years ago to protect divers. 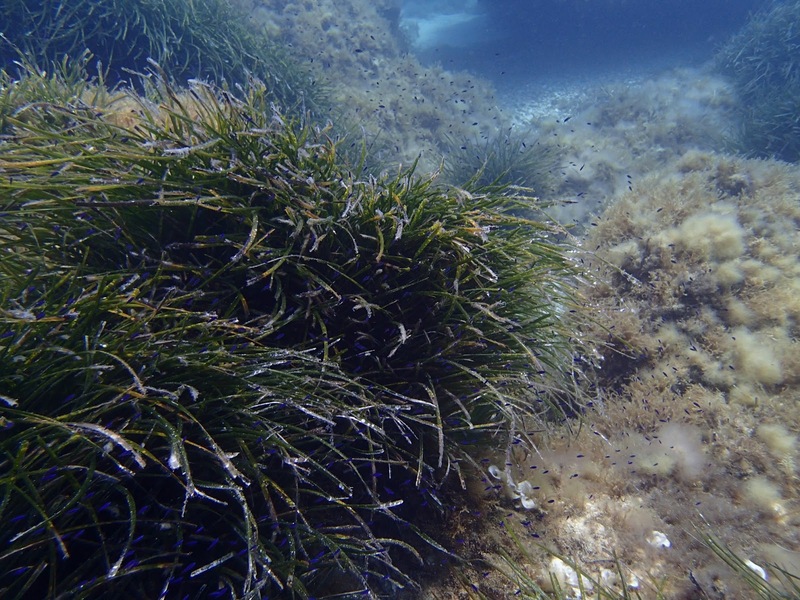 Here we saw much of the marine life we had seen at Sirens, as well as some stunning underwater landscapes. The rock formations varied in size, with small caves, big caves, enormous boulders and beautiful arches; it was impossible not to be in awe of your surroundings. Perhaps the most magical thing of all was the way air trickled up through the rocks where divers were exploring underneath, creating trails of bubbles up to the surface much like in a glass of champagne. After a few hours of diving we went back to the shop to complete our final exam. Using the word 'exam' makes is sound so scary and school-like, but it's not like that at all - it's just a recap of what you have learned throughout the course and a test to prove that you would be able to go out and dive safely without an instructor there to guide you. After passing the exam, it was time to send our certification cards off to be printed and fill in our logbooks. Having loved our experience so much, we decided to book two extra dives for our final day on the island. That night we went back to Benjawan to celebrate, picking up some gelato on the way back to the hotel. As we would be diving the next morning we took it easy and got an early night - we would celebrate properly the next evening. For our final dives we were taken to Ghar Lapsi by Pascal and Ryan. Ghar Lapsi is a quiet site on the South West of the island, and it was quite unlike the other sites we had visited. Once we arrived, Ryan mapped out the dive for us, explaining how we would get to the water and what would happen once we got there, and which route we would follow. After kitting up we started to walk down to the water, which involved walking down what felt like a thousand tiny steps, which I'm sure you can imagine isn't much fun with a steel tank on your back! We entered the water in a shallow rocky cove, where we then descended and worked our way through a cave system, where pools of light lit up the clear blue water and revealed bright corals and spiky black anemones. was similar to those we had already done with vast landscapes, a variety of corals and some inquisitive sea life, including some sort of sea sponge! I couldn't have asked for more for my first qualified dive. After washing our kit down back at the shop it was time to say our goodbyes, and I have to admit I was sad to go - the team all made us feel so welcome and at ease. We really did make a great choice of dive school. Once we had freshened up back at the hotel we headed back to Batubulan for a celebratory meal before going back to our room to pack. 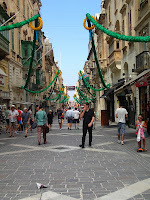 We didn't spend a lot of time exploring Malta itself, but from what I saw it was a very welcoming country with incredibly friendly locals and a laid-back attitude. Malta has a rich history which makes for interesting reading and there are plenty of historic places to visit, and the dives sites are really great too. I would definitely recommend the island as a holiday destination to anyone who wants to kick back but would like to keep themselves active and entertained too. Things are much less expensive in Malta than they are in the UK so you'll get a lot of bang for your buck, and you'll make some fantastic memories while you're there. 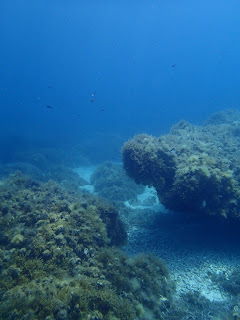 I really hope to return to Malta some day, in which case I would like to travel around the island a little more, and I would hope to be able to dive deeper by then in order to explore some of the wrecks around Malta and Gozo. What did you guys get up to over the summer?